NOV. 9-11 Arts and crafts by 115 artists, food trucks, noon-7 p.m. Nov. 9, 10 a.m.-6 p.m. Nov. 10, 10 a.m.-5 p.m. Nov. 11, Hangar 30, Magnuson Park, 6310 N.E. 74th St., Seattle; $8, ages 12 and younger and military veterans with ID free (nwartalliance.org). NOV. 9-11 Art display and sale, music, 5-9 p.m. Nov. 9, 10 a.m.-6 p.m. Nov. 10, 10 a.m.-4 p.m. Nov. 11, La Conner (artsalivelaconner.com). NOV. 10-11 Crafts from 100 vendors, 9 a.m.-5 p.m. Nov. 10, noon-4 p.m. Nov. 11, St. Brendan Catholic School, 10049 N.E. 195th St., Bothell (school.saintbrendan.org/main-page/pto/craft-fair). NOV. 10-11 Arts, crafts, jewelry, clothing and more by 95 vendors, 10 a.m.-6 p.m. Nov. 10, 11 a.m.-5 p.m. Nov. 11, Evergreen State Fairgrounds, 14405 179th Ave. S.E., Monroe (oddmall.co/november-10-11-2018-evergreen-state-fairgrounds). NOV. 16-17 Bath and body products, ceramics, home décor, wearables, 100 vendors, 11 a.m.-6 p.m. Nov. 16, 9 a.m.-5 p.m. Nov. 17, Renton Community Center, 1715 Maple Valley Highway, Renton (rentonwa.gov/holidaybazaar). NOV. 16-17 Handmade items, bake sale, raffle, 10 a.m.-4 p.m. Nov. 16-17, Des Moines United Methodist Church, 22225 Ninth Ave. S., Des Moines (253-833-9293 or seattlechildrens.org/events). NOV. 17 30 local businesses owned by women selling products and services for the holidays, 1-4 p.m. Nov. 17, Phinney Neighborhood Center lower building, 6615 Dayton Ave. N., Seattle (nwladiesinbusiness.yolasite.com/holiday-shop-local-event.php). NOV. 17 Forty vendors, bake sale, proceeds benefit Keiro Northwest elder care, 10 a.m.-3 p.m. Nov. 17, Blaine Memorial United Methodist Church, 3001 24th Ave. S., Seattle (206-409-3062). NOV. 17 Craft food show, 100 local craft food and beverage makers, samples, 10 a.m.-6 p.m. Nov. 17, Bell Harbor Conference Center, 2211 Alaskan Way, Pier 66, Seattle; free, preregister (gobbleupseattle.com). NOV. 17 Handmade crafts and wares by 65 artists, 9 a.m.-4 p.m. Nov. 17, Spartan Recreation Center, 202 N.E. 185th St., Shoreline (206-801-2600 or shorelinewa.gov). NOV. 17 Basketry, glass, wood, weaving, foods, 10 a.m.-3 p.m. Nov. 17, BARN (Bainbridge Artisan Resource Network), 8890 Three Tree Lane N.E., Bainbridge Island (206-842-4475 or bainbridgebarn.org). NOV. 17 Shopping with 50 vendors, raffles, 9 a.m.-4 p.m. Nov. 17, Renton Technical College, 3000 N.E. Fourth St., Renton (facebook.com/PreBlackFridayHolidayBazaar). NOV. 17 Handmade gifts, decorations, jewelry, carved walking sticks and canes, knitted and quilted items, bake sale, 9 a.m.-3 p.m. Nov. 17, Peace Lutheran Church, 18615 S.E. 272nd St., Kent (360-886-2323). NOV. 17 Used Jewish books, ritual items, décor, children’s items, bake sale; proceeds benefit Kol Ami Reform Jewish Center, 4 p.m. Nov. 17, Kol Ami Congregation: A Center for Jewish Life, 16530 Avondale Road N.E., Woodinville (425-844-1604 or kolaminw.org/events-1/pre-loved-judaica-sale-havdalah-and-live-jewish-music). NOV. 17 Baked goods, soap, knits, quilting, embroidery, pet beds, photography, jewelry, garden décor, Coffee Corner, 9 a.m.-3 p.m. Nov. 17, Providence Point, 4135 Providence Point Drive S.E., Issaquah (360-791-9918). NOV. 17 Arts, crafts, food, wine, 60 vendors, 10 a.m.-5 p.m. Nov. 17, Thomas Family Farm, 9010 Marsh Road, Snohomish (thomasfamilyfarm.com). NOV. 17-18 Arts and crafts, silent auction with themed baskets, fair trade/global gifts, bake sale, 10 a.m.-4 p.m. Nov. 17, noon-3 p.m. Nov. 18; Peace Lutheran Church, 8316 39th Ave. S.W., Seattle (peacelutheranseattle.org). NOV. 23 Portion of day’s proceeds from 30 local shops benefit charity, 9 a.m.-10 p.m. Nov. 23, Ballard business district, Seattle (visitballard.com/events/ballard-gives-back). NOV. 23-24 Port Townsend Arts Guild sale, clothing, jewelry, pottery, photography, paintings; portion of proceeds benefit food bank, 10 a.m.-5 p.m. Nov. 23-24, Port Townsend Community Center, 620 Tyler St., Port Townsend (360-774-6544 or porttownsendartsguild.org). 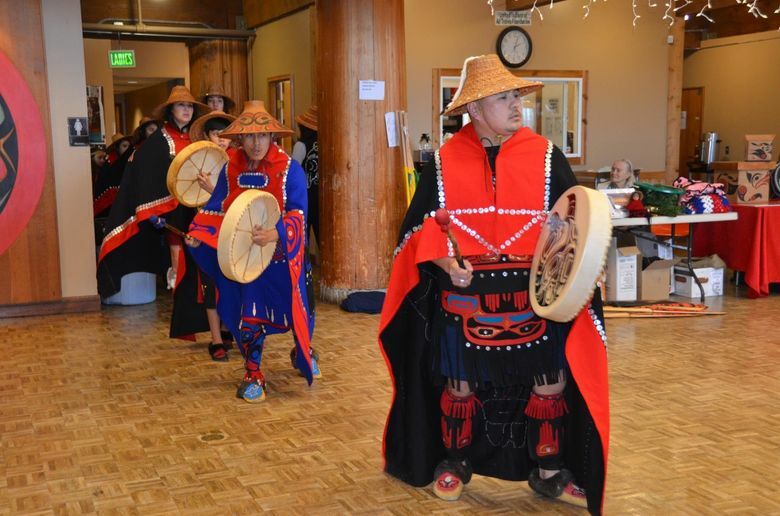 NOV. 23-25 The Duwamish Tribe hosts 25 artists and local vendors; food, 10 a.m.-5 p.m. Nov. 23-25, Duwamish Longhouse & Cultural Center, 4705 W. Marginal Way S.W., Seattle (206-431-1582 or duwamishtribe.org). NOV. 24 Arts and crafts by 30 vendors, noon-5 p.m. Nov. 24, Ballard Elks Lodge, 6411 Seaview Ave. N.W., Seattle; donation of nonperishable food or new toy suggested (visitballard.com/events/ballard-elks-holiday-craft-market). NOV. 24-25 Sale of handmade crafts, craft activities; food trucks, 10 a.m.-5 p.m. Nov. 24, 10 a.m.-4 p.m. Nov. 25, Hangar 30, Magnuson Park, 6310 N.E. 74th St., Seattle; preregister online for free entry, or $2 at the door for ages 13 and older (geekcraftexpo.com/gce-seattle-2018). NOV. 29-DEC. 1 Book bargains, proceeds benefit library programs; 10 a.m.-7 p.m. Nov. 29, 10 a.m.-4 p.m. Nov. 30-Dec. 1, Bellevue King County Library, 1111 110th Ave. N.E., Bellevue (425-450-1765 or kcls.org/locations/1492). NOV. 30-DEC. 1 Unique gifts from 30 vendors and organizations that support empowering women and girls, protecting the environment, responding to the refugee crisis and local organizations using innovation to tackle world problems, 10 a.m.-5 p.m. Nov. 30-Dec. 1, Bill & Melinda Gates Foundation Discovery Center, 440 Fifth Ave. N., Seattle (206-709-3100 or discovergates.org/givingmarketplace). NOV. 30-DEC. 1 Ornaments, wreaths, jewelry, gift baskets, quilts, vintage collectibles, food items, noon-6 p.m. Nov. 30, 10 a.m.-4 p.m. Dec. 1, ArtWorks, 201 Second Ave. S., Second Street and Dayton Avenue South, Edmonds (425-774-7865). NOV. 30-DEC. 2 Self-guided tour of eight Seattle artists’ studios, 4-9 p.m. Nov. 30, 10 a.m.-5 p.m. Dec. 1-2, Seattle (seattlesampling.com). NOV. 30-DEC. 27 Sale of a variety of clay work by local artists and students; opening-night gala, 6:30-9:30 p.m. Nov. 30, suggested $10 donation; regular hours 10 a.m.-6 p.m. daily through Dec. 27 (closed Dec. 25), free admission; Wearable Art Weekend, Dec. 8-9; Seward Park Clay Studio, 5900 Lake Washington Blvd. S., Seattle (sewardparkart.org). 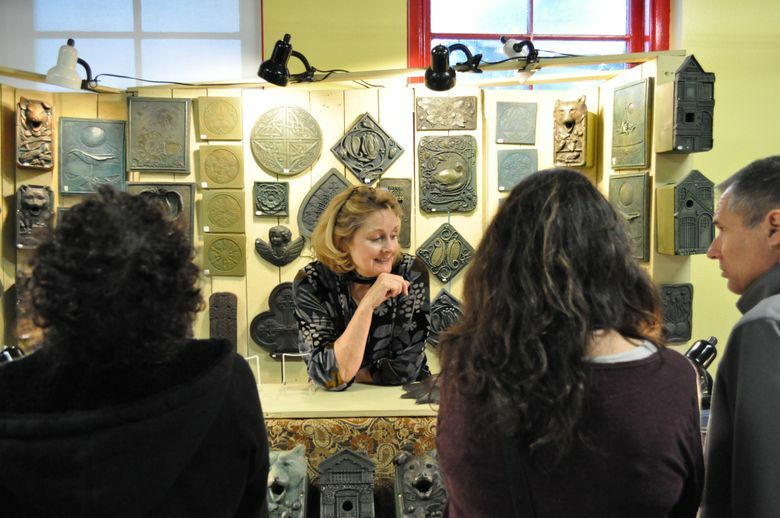 DEC. 1 Local artists and vendors, 10 a.m.-3 p.m. Dec. 1, Lakewood Seward Park Community Club, 4916 S. Angeline St., Seattle (206-289-0618 or lspcc.org/holiday-gift-bazaar). DEC. 1 Holiday gifts and crafts by local artists, woodworking, ceramics, jewelry, sculptors, art in all medias, food and drinks, 10 a.m.-2 p.m. Dec. 1, Rainier Beach Community Club, 6038 S. Pilgrim St., Seattle (rainierbeachcommunityclub.org/?p=4390f). DEC. 1 Handcrafted items, homemade baked goods, proceeds benefit the animals of MEOW, 10 a.m.-4 p.m. Dec. 1, Northlake Unitarian Universalist Church, 308 Fourth Ave. S., Kirkland (425-822-6369 or meowcatrescue.org). DEC. 1 Arts and crafts by local vendors, glass art, photography, jewelry, soap, purses, candles, holiday decorations, food, 9 a.m.-3 p.m., Dec. 1, Skyline High School, 1122 228th Ave. S.E., Sammamish (facebook.com/events/777333015938209/). DEC. 1-2 Handcrafted clothing, jewelry, accessories, children’s goods, toys, housewares, furniture, candles, art, food, 150 vendors, 10 a.m.-6 p.m. Dec. 1, 10 a.m.-5 p.m. Dec. 2, Seattle Center Exhibition Hall, 301 Mercer St., Seattle (urbancraftuprising.com). DEC. 1-2 Arts and crafts by 150 vendors, entertainment, cafe, wreath sale, 10 a.m.-5 p.m. Dec. 1-2, Phinney Neighborhood Center, 6532 Phinney Ave. N., Seattle; $4, ages 12 and younger free (206-783-2244 or phinneycenter.org/calendar/winter-festival-18). DEC. 1-2 Arts and crafts by local artists, jewelry, glass and fiber arts, cards, photography, holiday décor, 10 a.m.-5 p.m. Dec. 1, 10 a.m.-2 p.m. Dec. 2, Unity of Bellevue, 16330 N.E. Fourth St., Bellevue (425-747-5950 or unityofbellevue.org/upcoming-events). 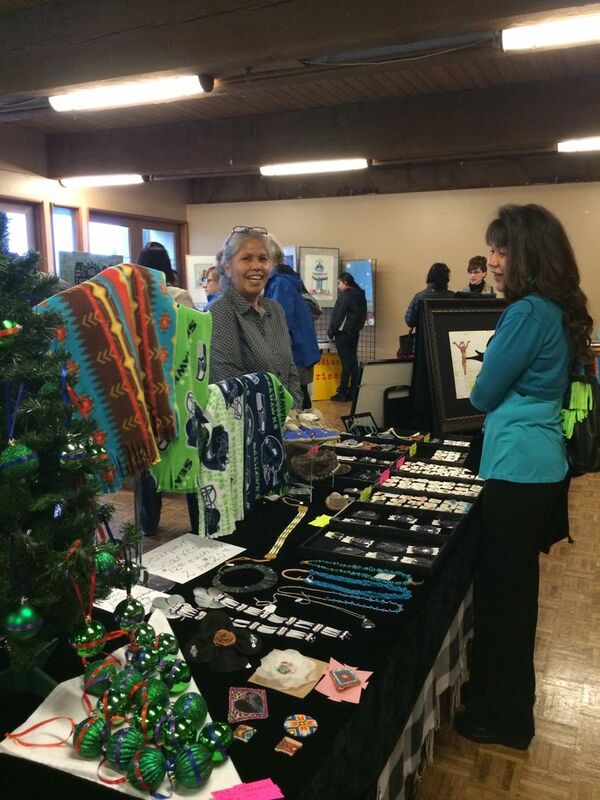 DEC. 1-2, 15-16 Authentic Native American arts, crafts and food with representatives from many tribes, entertainment, 10 a.m.-4 p.m. Dec. 1-2 and Dec. 15-16, Daybreak Star Indian Cultural Center, 5011 Bernie Whitebear Way, Discovery Park, Seattle (unitedindians.org). DEC. 2 Marketplace, blankets, jewelry, statues, incense, clothing, art prints, books, CDs, bake sale, 11 a.m.-4 p.m., tour of the Shrine Room with traditional Tibetan murals, sculptures, mandalas, Buddha statue, noon Dec. 2, Sakya Monastery of Tibetan Buddhism, 108 N.W. 83rd St., Seattle (facebook.com/events/2268447866529665). DEC. 2 Scandinavian vendors, lefse, rommegrot and other food, folk dancing, 10 a.m.-4 p.m. Dec. 2, Sons of Norway, 18891 Front St. N.E., Poulsbo (poulsbosonsofnorway.com). 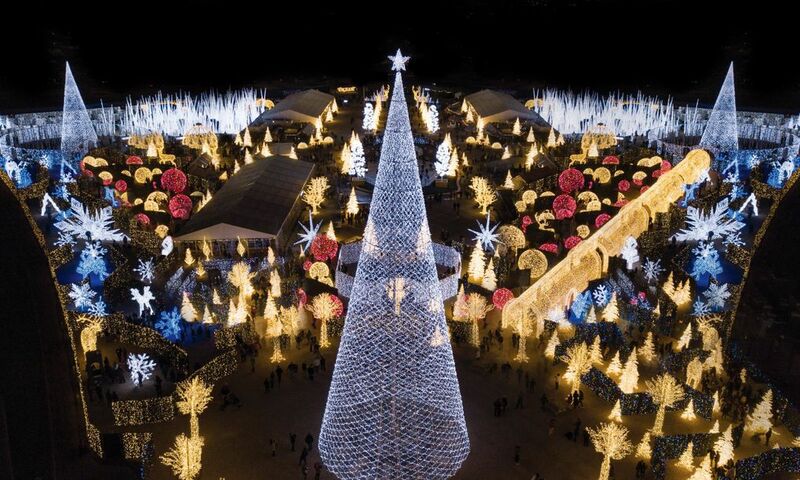 DEC. 7-8 Arts and crafts, vintage items, food from 100 local vendors, entertainment, 5-10 p.m. Nov. 7, noon-8 p.m. Dec. 8, Hangar 30, Magnuson Park, 6310 N.E. 74th St., Seattle; $1 suggested donation (facebook.com/events/2252621111638577). DEC. 9 Handmade gifts and jewelry from all over the world for sale to benefit several nonprofit organizations, 11:45 a.m. Dec. 9, Northminster Presbyterian Church, 7706 25th Ave. N.W., Seattle (northminsterpres.org).